Designing and building a car park can never be a standardised process: a number of differing factors impact on the decisions made and direction taken with the final construction, such as location, size restrictions, estimated traffic and more. The British Parking Association, the non-profit industry body set up in 1968 to provide guidance and advice regarding the creation and control of parking environments, runs the “Safer Parking Scheme” in partnership with the Association of Chief Police Officers – a project that was introduced to provide regulation of UK car parks. The scheme offers advice and guidance designed to improve safety, security, efficiency and efficacy when designing and building new car parks, providing those that meet required standards with the Park Mark award. So how does a new build car park get this accreditation? 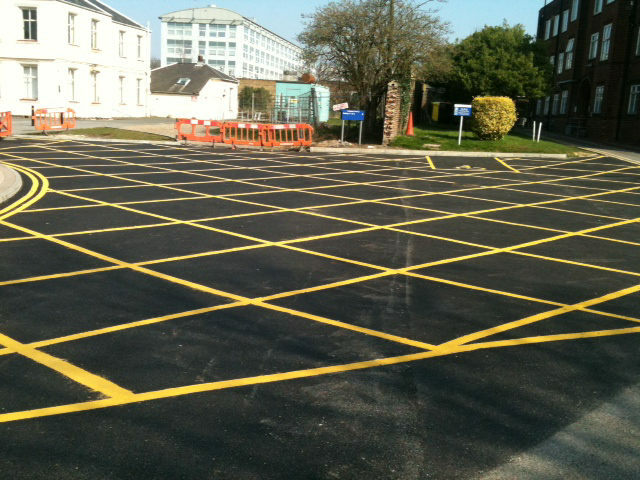 The best place to start when planning a car park development is by contacting the nearest BPA department manager (located throughout the UK), who will be able to offer initial advice, as well as putting you in touch with the local Police Architectural Liaison Officer (ALO) or Crime Prevention Design Adviser (CPDA). The latter of these two organisations will be able to provide statistics regarding the likelihood of vehicle crime occurring in the area in which the car park is being built, giving you a good idea as to the amount of focus on security you will need to apply to your build to ensure that it meets required standards. Once work has started, it is the responsibility of the designer to make sure that the site is kept safe for both employees and the public throughout the duration of the construction work, as stated in both the Health and Safety at Work Act and the Occupiers Liability Act 1957. Other factors that must be considered throughout the design and development include clearly defined boundaries and designated vehicle and pedestrian routes, ease of access for vehicles and pedestrians, sufficient signage to instruct and direct users, full staffed and CCTV surveillance coverage, and upkeep of the surrounding land that falls within the boundary. Lighting is another important area on which to focus. Not only does a well-lit environment go a long way towards discouraging crime, but effective lighting is also mandatory to a certain extent. British Standards dictate that lighting must comply with 5489-1: 2003 and BS EN 12464-1:2002, and further regulations concerning emergency lighting for pedestrian areas also apply. Utilise light-coloured and reflective surfaces to carry light over large distances, and ensure that the areas in which your CCTV is located are sufficiently illuminated to allow for effective surveillance. 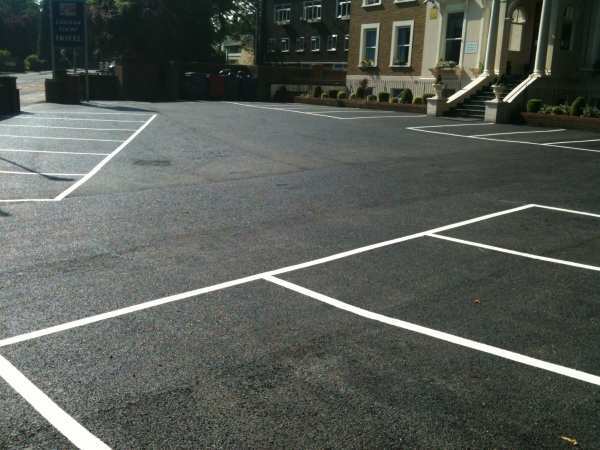 In order to keep your car park operating effectively, contact UK Surfacing for all repair, refurbishment and maintenance of damaged or uneven ground. 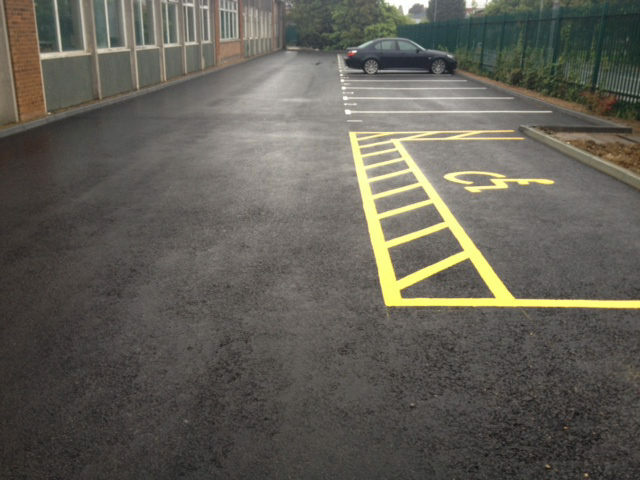 Our expert team are fully qualified to work with a wide range of road surfacing materials, from concrete to stone mastic asphalt, meaning we can be flexible to tailor our skills to your needs. For more information, or to request a quote, don’t hesitate to get in touch today.